Tech Gathering in Kimberley | A gathering of tech-related people across various industries in Kimberley to discuss who's here, and how to develop a tech-related consortium in Kimberley. This will be facilitated by Karilyn Kempton. Karilyn is the tech strategy coordinator for the city of Revelstoke, where she’s spent the last year and a half focused on community building within the local tech sector, supporting local tech companies, helping non-tech companies adopt new technologies, fostering tech opportunities for youth and seeking out new tech opportunities for Revelstoke. 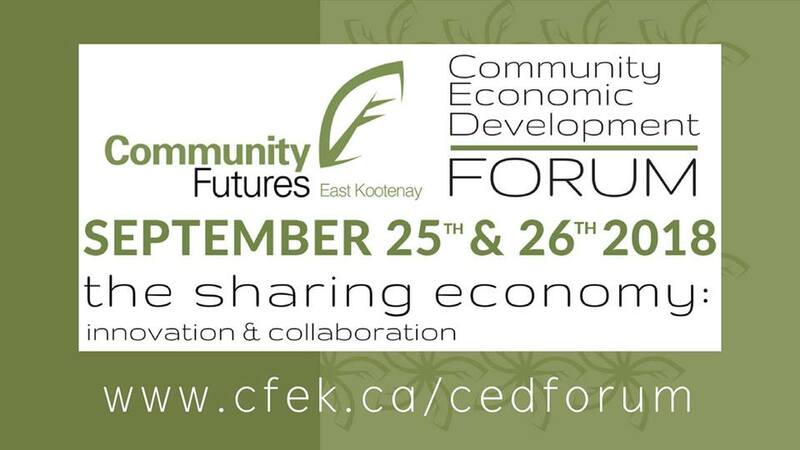 Community Economic Development Forum | Community Futures East Kootenay is dedicated to fostering strong, vibrant local economies and to support this, we are hosting a two-day forum on the sharing economy. We want to explore ideas of how to harness the power of the sharing economy, use it as an economic driver for our communities, and challenge the delegates by examining emerging issues the sharing economy presents while reviewing exciting case studies. The conference is designed for stakeholders and participants to connect across organizations and collaborate. Black Cat Soul // live at Soulfood | Betty Goodacre and James Hay, originally from Smithers BC now front the Kelowna based modern vintage, smooth blues, roots and soul band “Black Cat Soul”. As a duo the pair enjoy performing stripped down versions of classic favourites, delivering passionate vocal melodies over a foundation of articulate guitar passages that will soothe the ears and ease a worried mind. 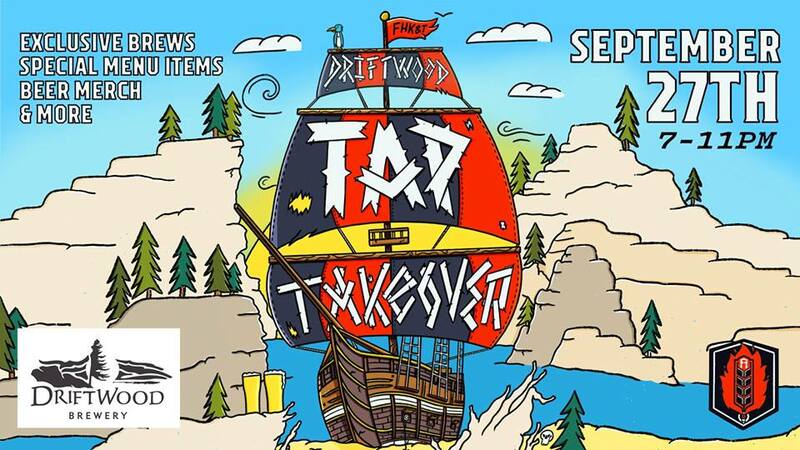 Driftwood Tap Takeover by FHK&T | We are so excited to have Driftwood Brewery from Victoria, BC with us for this month's Tap Takeover at the Fire Hall! Driftwood is home to a great selection of fantastic brews, with a little something for everyone. We've had the pleasure of serving a selection of their beers on tap since we opened our doors and Cranbrook has shown a real love for them. Join us September 27th for an evening of special beer from Driftwood, a menu of exclusive food dishes, beer trivia & more. It's sure to be a night for the books. We'll see ya'll there! 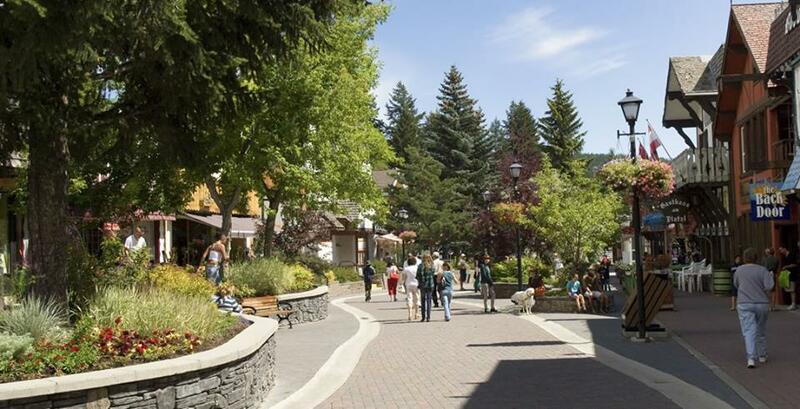 Kimberley Community Fall Fair | This event is a community fall fair and market for the whole family. We have entertainment, vendors, food, artisans and a beer garden with Bolers on display. Dance Workshops with Amrita Choudhury | Amrita Choudhury is travelling for the third time from Montreal, QC, to Kimberley. Amrita is a world-renowned dancer and teacher, born into a long lineage of dance and yoga traditions in India. She weaves magic on the dance floor, creating a space that welcomes all ages, abilities & genders equally. This is a special opportunity for anyone interested in dance, yoga, movement or healing. - Saturday, September 29 Joy of Bollywood! EH? !HI54LOFI October 24, 2017 THE WEEKLY EH?! EH? !HI54LOFI October 28, 2017 THE WEEKLY EH?! EH? !HI54LOFI October 22, 2017 THE WEEKLY EH? !